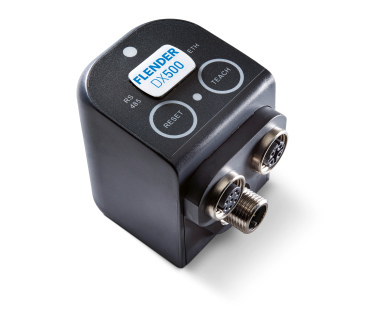 Flender is expanding its portfolio of application-specific gear units and, with the Planurex 3 L for roller presses, is bringing out gear units with the currently highest available power density in the market. 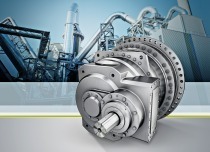 The existing product series already comprised ten design sizes for a torque range of up to 5450000 Nm. From now on seven new design sizes in the Planurex 3 series will cover the torque range of from 480000 to 1465000 Nm. The new development is an application product designed to meet the specific requirements of roller presses used mainly in industrial sectors like raw material extraction, mining and cement manufacture. The high power density is achieved by means of a compact and effective design. 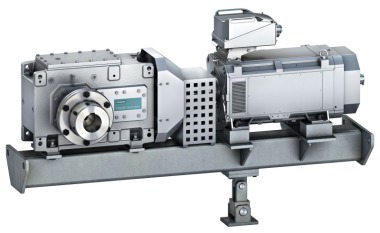 Roller presses make heavy demands of drive technology in rough continuous operation. 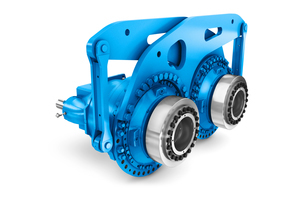 Planurex 3 gear units are specifically designed to cope with such heavy demands and at the same time take into account the construction of the systems in which they are used, so saving on installation space. 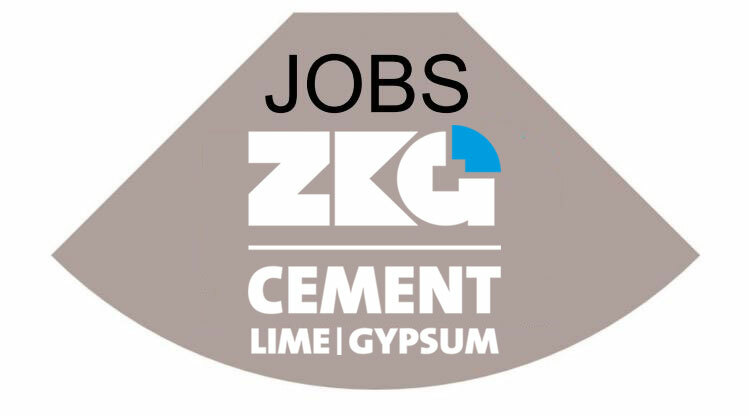 Small outside diameters combined with high power additionally enable minimum centre distances to be achieved for optimum grinding results. The light weight also means easy handling. The new Planurex 3 series for roller press drives stands out for its harmonious design size gradation and offers a high degree of standardisation. This ensures for example fast delivery times. Modern production machines guarantee high quality components and a long service life. 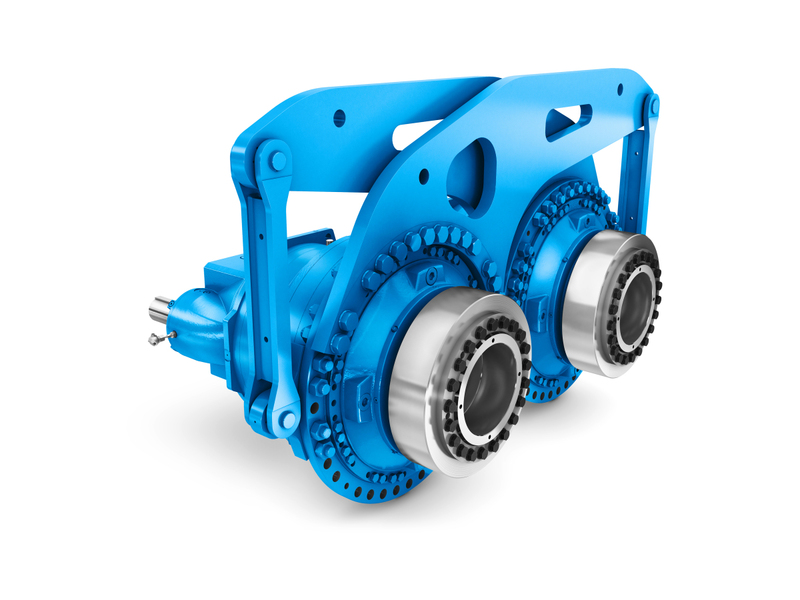 Planurex 3 L gear units come with the add-on parts typical of roller presses and options, such as reinforced bearings, torque arms and oil supply systems. 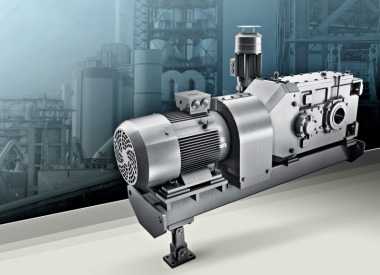 Additionally, they can be optionally fitted with sensors for Flender measurement equipment to enable the condition of the gear units to be continuously monitored and predictive maintenance to be carried out during operation.